"I'm the dying guy!" "I'm the other guy!" Netflix has released the first full trailer for an indie comedy titled Paddleton, the latest feature from the director of Blue Jay. The film is premiering at the 2019 Sundance Film Festival in a few weeks, then arrives on Netflix in February. 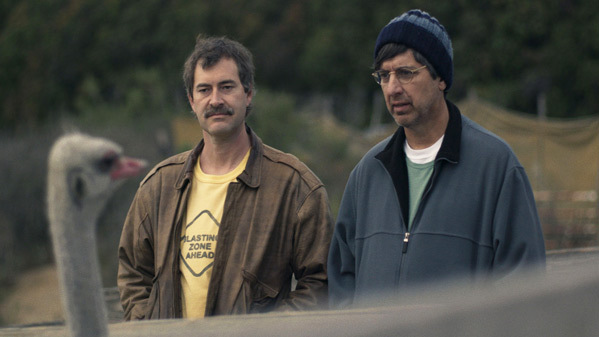 Paddleton is about the unlikely friendship between two misfit neighbors when one of them is diagnosed with terminal cancer. They go on an emotional journey together, chasing emus and getting into all kinds of wacky trouble, of course. The film stars Ray Romano and Mark Duplass, who co-wrote the screenplay with the director. The small cast also includes Marguerite Moreau, Christine Woods, Alexandra Billings, and Matt Bush. This looks pretty good. An unlikely friendship between two misfit neighbors becomes an unexpectedly emotional journey when the younger man is diagnosed with terminal cancer. 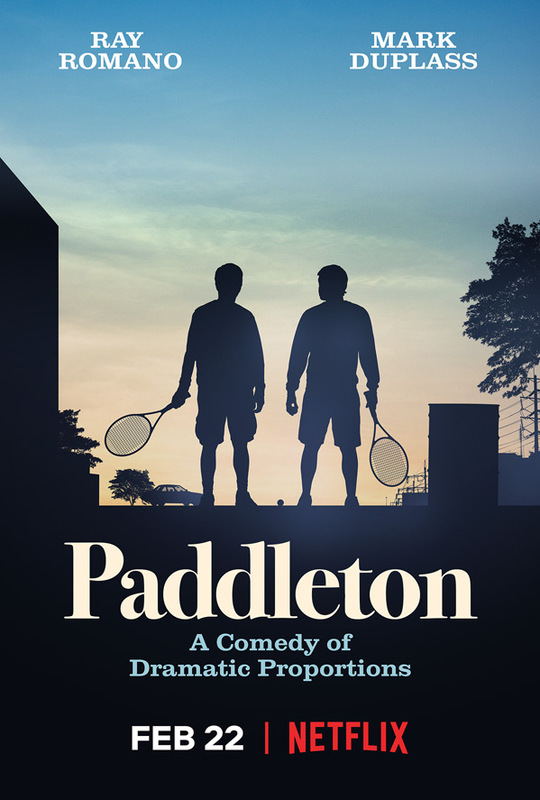 Paddleton is directed by cinematographer / director Alex Lehmann, a former camera operator making his second feature film after directing the film Blue Jay for the Duplass Brothers previously. The screenplay is written by Mark Duplass and Alex Lehmann. Produced by Mel Eslyn, Alana Carithers, Sean Bradley; executive produced by Mark Duplass, Jay Duplass, and Ray Romano. This is premiering at the 2019 Sundance Film Festival later this month. Netflix will then release Lehmann's Paddleton streaming exclusively starting February 22nd next month. Who wants to see this?